According to Im, designing a successful senior care living environment that targets middle-income seniors requires careful balancing of both the physical building as well as operations. “As you add more amenity spaces, the rentable spaces decrease, and the efficiency in workflow may lessen leading to the need for more staff increases. Decisions like moving the residents to a different floor for dining each meal or providing separate dining rooms on each floor are questions to consider when planning service-enriched environment for seniors,” said Im. “Some of the basic design strategies include sufficient outdoor and daylight opportunities, decisions that impact efficient workflow and staffing considerations, and affordable building materials,” Im noted. “With an eye towards the bottom line, it is critical that the community is highly efficient and not over-designed or over programmed. The physical infrastructure of the building needs to be designed with flexibility in mind — the ability to convert between different levels of care as the market shifts and to have open and adaptable space planning that keeps amenity spaces flexible and multi-purpose,” Im said. Im suggests avoiding specialized spaces that are customized for a specific set of activities. “Flexible space can be designed as an open concept room that uses partitions or can change uses with the change of furniture,” Im added. “Also, the infrastructure should be designed in a way that it can take advantage of current and future technology. Technology is one key infrastructure that will shape the way care and service are delivered to the residents, and growth and expansion in this area should be anticipated,” said Im. “In an effort not to over-program the community, we look for opportunities to take advantage of the site surroundings or partnering opportunities with the neighborhood services to reduce the in-house operated programs,” said Im. KTGY has found tremendous success with developing mixed-use communities. According to Im, the number one amenity for the 55+ age group is proximity to a grocery store, followed closely by proximity to dining and entertainment, similar to what millennials want. Azulon at Mesa Verde apartment community in Costa Mesa, Calif., which backs up to an existing shopping center, is a great example of how successful this concept can be. “Residents of Azulon can walk out of the backyard and through a private paseo to access a market, drug store, dining, banking and post office among other services,” Im said. KTGY has designed Griffin Plaza, which incorporates a new 96-unit Assisted Living and Memory Care facility within an existing shopping center in Simi Valley, Calif. The scope of the project includes exterior renovation of the existing retail center to update the aesthetics and improve the pedestrian connection between the retail stores. It also includes the addition of new retail and an outdoor play area to further enhance the center. Repositioning a project rather than doing a ground up development can offer a more cost-effective solution, according to Im. KTGY has designed Regency Palms, a 91-bed Memory Care under construction in downtown Long Beach, Calif. Regency Palms is a conversion from an existing Assisted Living facility that operated in a historical high-rise building (eight stories with basement and roof deck). KTGY has also completed numerous renovation projects including Angelus Plaza in downtown Los Angeles which is the county’s largest affordable age-qualified community with nearly 1,100 units. In a suburb of northern Atlanta, KTGY designed The Georgian Lakeside as an all-inclusive 95-unit Assisted Living and Memory Care community set in a beautiful, amenity-rich location overlooking a five-acre lake in Roswell, Georgia. The building’s design maximizes the beautiful lake views seen from all of its dining rooms, the casual bistro, lobby areas and half of the resident suites. InterFace Seniors Housing Midwest will bring together the leading seniors housing owners, operators, investors, developers and capital markets players in Illinois, Wisconsin, Minnesota, Michigan, Ohio, Indiana, Iowa, Kentucky, Missouri and Nebraska for a full day of information sessions and networking. Attendees will represent a cross section of the seniors housing continuum: assisted living, independent living, memory care, skilled nursing, CCRC, and active adult community owners, operators, developers and investors. 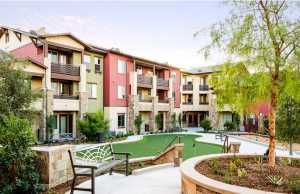 KTGY is a leader in senior housing design and planning. 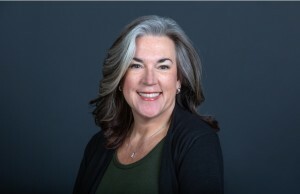 Im has over 19 years of architectural design, planning and programming experience in both new construction and renovation for a variety of clients and institutions, and has dedicated the majority of her career to the full spectrum of senior living environments from housing to long-term care. Im’s approach to resident-centered design brings innovative and trend-setting solutions to the fast-changing senior living environment, and many of her communities have garnered national recognition and the prestigious AIA Design for Aging awards. Im’s knowledge of the various codes and the regulatory processes in multiple jurisdictions brings efficiency in the project process from very early planning phases, and her organizational skills and proficiency ensure a quality result that expresses each client’s individual style while achieving its business goals. Im is also dedicated to design education and continuous learning. 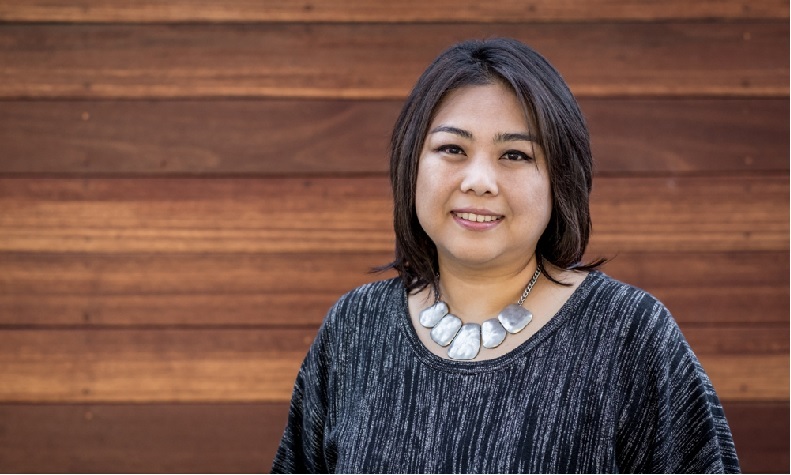 She has served as a design faculty member for both BArch and MArch programs at the Boston Architectural College for 11 years and volunteers as MIT’s Educational Counselor for Southern California region. Celebrating 25 years, KTGY Architecture + Planning is an international award-winning full-service architecture and planning firm delivering innovation, artistry and attention to detail across multiple offices and studios, ensuring that clients and communities get the best the firm has to offer no matter the building type or location. KTGY’s architects and planners combine big picture opportunities, leading-edge sustainable practices and impeccable design standards to help create developments of enduring value. KTGY serves clients worldwide from offices located in Chicago, Denver, Irvine, Los Angeles, Oakland, Pune and Tysons. Call 888.456.KTGY or visit www.ktgy.com, Facebook, Twitter, LinkedIn, Instagram, Vimeo, YouTube.